If you have been charged with a first offense for operating under the influence (OUI), you may have heard that you should plead guilty quickly so you can take some alcohol-education classes and get your license back as quickly as possible. This is often a poor decision. Be aware that as Massachusetts drunk driving laws have recently changed. Any OUI conviction or admission may follow you for the rest of your life, even if you move to a different state. The attorneys at Bellotti Law Group, P.C. can help you. 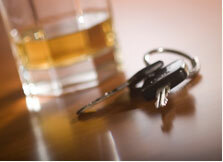 We will explain your rights and options, and we will vigorously defend you from the OUI charges you are facing. A first-offense OUI charge in Massachusetts requires court appearances and exposes you to potential incarceration. You may incur unnecessary and burdensome expenses and obligations if you do not make the right decisions. You need a Massachusetts OUI lawyer who is knowledgeable about the nuances of the new drunk driving laws, which are currently the most restrictive this state has ever seen. You may have more options than you think. Contact the Massachusetts criminal defense lawyers at Bellotti Law Group, P.C. today for a free telephone consultation. We serve Greater Boston and Massachusetts from our offices in Cambridge and Quincy. We have several former prosecutors with years of experience both representing and presenting criminal cases. Be sure to have any paperwork or other information ready when you call so we can immediately start working on your case. We can be reached at 617-225-2100 or use our contact form.